Last week cook and gardener flew off to Australia’s capital city – Canberra – to visit CSIRO’s Dr Richard Stirzaker. Richard's life’s work has been to learn to understand water and its use in growing food. 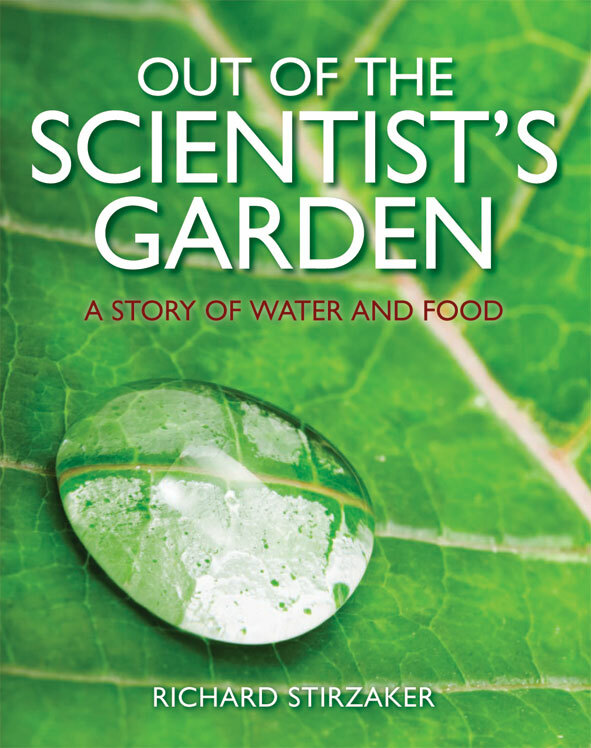 He wrote a book on the lessons learnt called Out of a Scientist’s Garden, available from CSIRO publishing. What we have in common is our backyard gardens - the well-springs of our interest in irrigated agriculture. Together we’ve been messing about for years trying to build better and cheaper sensors to allow folk to water gardens and vast acreages more efficiently – to get more food per litre of water. In our most recent efforts, we’ve worked to come up with some ‘appropriate technology’ for subsistence farmers in Africa and irrigators in Bangladesh. So we did all that we had to do in Canberra talking to the folk who have funded this work, but the real highlight of our two days was the much-anticipated tour of Richard’s garden – so different from my own. Some of these differences are driven by the colder Canberra climate and the shorter growing season. For example, Richard needs to raise seedlings in a glasshouse during the cold months of late winter and early spring.